Two Gallants premiered a free MP3 download of “My Love Won’t Wait,” the second track off upcoming fourth LP The Bloom and the Blight, yesterday on NPR’s All Songs Considered blog. The prowling anthem can also now be downloaded via an embeddable song widget below. An album trailer, directed by Samuel Russell, debuted online yesterday as well and features footage from the band’s May US tour dates in addition to clips of “My Love Won’t Wait”, first single “Broken Eyes,” album opener “Halcyon Days” and another album track “Ride Away”: http://youtu.be/qOY07eRnAgU. 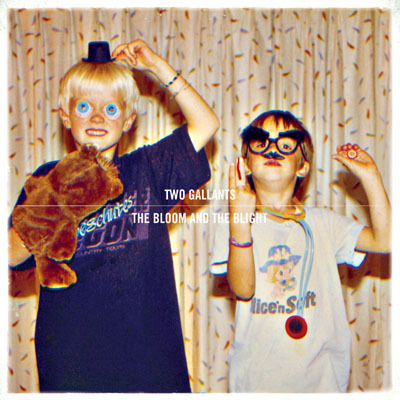 The Bloom and the Blight, the San Francisco-based band’s first for Fargo Records, will be released on September 5th, 2012 and is now available for pre-order via Fargostore.com and the Two Gallantswebsite (www.twogallants.com), and at iTunes next week. A special vinyl package will also be available at release: a 180 gram LP that comes with a bonus 7-inch, which includes a cover of Abner Jay’s “I’m So Depressed” and an etching by drummer Tyson Vogel as a B-side. The cover artwork – a photo of the duo at age 8 taken by drummer Vogel’s mother – can also now be seen below. 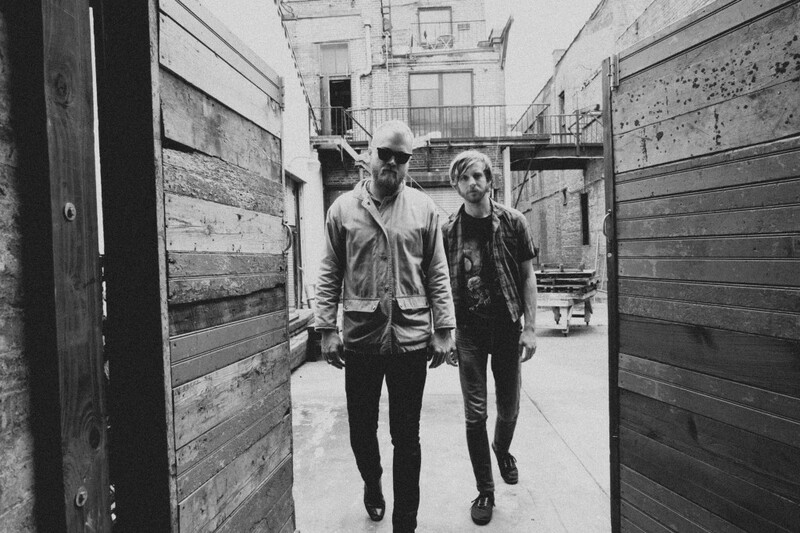 Known throughout their young career for a tireless tour schedule, Two Gallants will return to form and embark on a massive North American and European tour this fall. The Bloom and the Blight is the work of a band that has matured and redefined itself, and the album is imbued with a palpable sense of personal catharsis. Opening tracks “Halcyon Days” and “Song of Songs” illustrate the type of build to explosion that’s omnipresent throughout the album, and “My Love Won’t Wait” – with a menacing chorus underscored by a pounding backbeat – is an epic, booming anthem. The gentler “Broken Eyes” – all voices, guitar, harmonica, and tambourine – has already become a fan favorite with its rousing, harmony-filled final verses, while the cinematic “Ride Away” soars on Adam Stephens’ raspy howl and Vogel’s relentless drumming. The songs have a dark side and a dynamic sonic heft, yet a sense of salvation and resolve courses throughout: an urgent, emotional poignancy stemming in part from Stephens’ recovery from a serious van accident in 2010. Produced by John Congleton (The Walkmen, Explosions In The Sky, St. Vincent) at Berkeley’s legendary Fantasy Studios and in San Francisco’s Tiny Telephone studio, The Bloom and the Blight moves away from Two Gallants’ more folk and blues-based past, representing the duo’s ferocious live show and their past steeped in punk and grunge. The album simultaneously maintains the thoughtful storytelling and eloquent lyricism for which the band has become known, and contains gorgeous, quieter moments like the finger-picked ballad “Sunday Souvenirs” and the dreamy, unearthly “Decay” (the first Vogel-penned song on a Two Gallants album).